SIGN UP FOR HYPNOBIRTHING® DOULA SERVICES and FITNESS TODAY! We are strengthening women with our HypnoBirthing® Doula Services and Fitness to navigate them to the birth they desire. A proven technique for safer, easier and more comfortable birth. Group Classes + Private Classes available in Concord, NH and surrounding areas (in-home if necessary). Education during pregnancy, support during labor and confidence in newborn care. Corrective Exercise focusing on Core Strength and Diaphragmatic Breathing in group and private formats during pregnancy and into the post partum period. Questions? Connect with us today. Learn more about what a doula offers here. 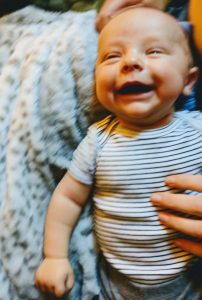 Kieran is New Hampshire’s CERTIFIED HypnoBirthing Practitioner, providing moms and partners with education that allows for and promotes instinctive birth. 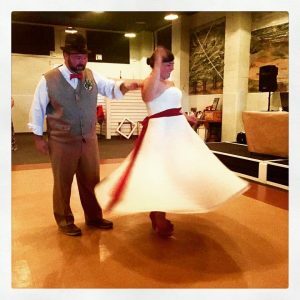 My favorite part of TV shows is at the end of each episode when families gather around a board game or the dinner table – I get a huge smile on my face or goose bumps on my arms and usually my husband laughs at me. I am truly a sap for happiness and love. My favorite thing about life is spending time with my family and friends. Growing up I decided early on that hospitality was my calling – I love making other people happy! During the last 20 years, I led a successful career catering to my guests needs flawlessly under very high demands. My jobs took me as far as Yellowstone National Park and back here to the east coast – Philadelphia, Manhattan, and Virginia. These experiences have helped prepare me to support and care for women and their families with compassion and clarity and ultimately contribute to the overall happiness of each family’s experience. As a young woman while other friends were stepping into motherhood I began to harbor a curiosity and deep respect for mothers and birthing women. 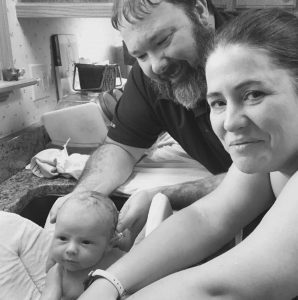 Through years of hearing friends and families birth stories and how things didn’t go the way they wanted I went into my own birth with my eyes almost wide open and I knew I wanted to experience something different. I wanted to be heard and for my needs and wants to be respected and listened to. So, that combined with my own experience of finding an OB, hiring a doula and finally having PPROM (preterm premature rupture of membranes) spending 19 days in the hospital followed by an induced premature labor ending in vaginal birth – has led me to a career as a doula. Now that I have given birth, I feel changed. Sort of like that saying, you know the one – “if I knew then what I know now” …but wait, I do and so does every other mother out there after giving birth, no matter the path. I look forward to the opportunity to experience other mother’s journeys and be there to support them and thier partners in achieving positive experiences. A mother / family achieving a positive birth experience – no matter what happens, is the most important part. After experiencing my own birth, I realized how our bodies are truly made to do this and that everything we need is within ourselves – I can’t wait to experience other women coming to their own realizations. A childbirth educator: HypnoBirthing® is a proven method and technique for acheiving a safer, easier and more comfortable birth. A corrective exercise specialist: Pre and Postnatal fitness focusing on correcting current movement imbalances and enhancing everyday movement with proper functional training and diaphragmatic breathing. Please email kieran@storktoswaddle.com for more details. A doula: Bith Doula services providing educational, emotional and physical support throughout your pregnancy, labor and into postpartum. Visit HypnoBirthing, Doula Services and Pre+Postnatal Fitness for more details. We provide support that allows your birth experience to be a positive one, no matter the path that unfolds – contact us for more details. Fill out the form below to set up a free consult and just email me with your questions. 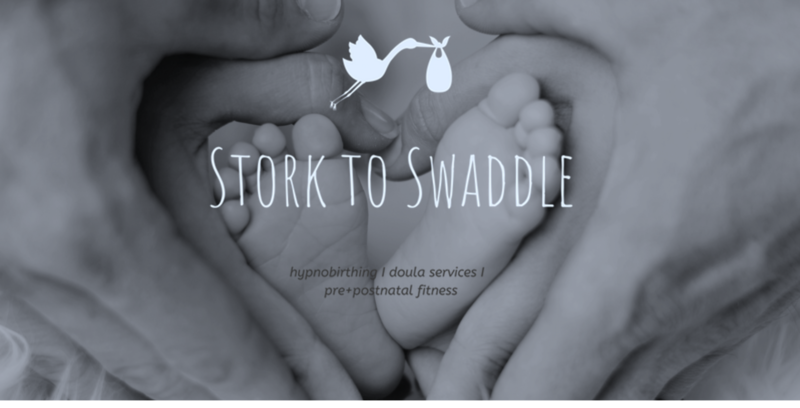 Stork to Swaddle offers Hypnobirthing® classes, Birth Doula services and Pre+Post natal fitness in for central and southern New Hampshire including Lakes Region, Concord, Manchester, seacoast and surrounding areas. Based out of Canterbury, NH we provide prenatal and postpartum services as well as childbirth education. Kieran Doucette – Doula, HypnoBirthing Educator and Corrective Exercise Specialist can be reached at 845.568.7041.